We aim to protect your assets to help you not only get to retirement, but through retirement. Learn how to win under the new tax laws. Find out how it will affect your business and your investments. Learn what you should do now. It's not the final chapter in the book of life but rather the beginning... a second act. Investment advisory services offered through Brookstone Capital Management LLC (BCM), an SEC Registered Investment Advisor. 745 S. Naperville Road, Ste. 200, Wheaton, IL 60189. Tel: 630-653-1400. 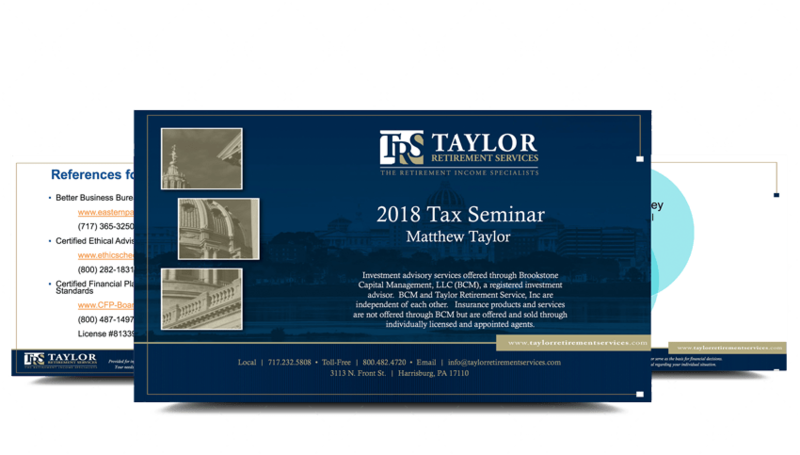 BCM and Taylor Retirement Services are independent of each other.